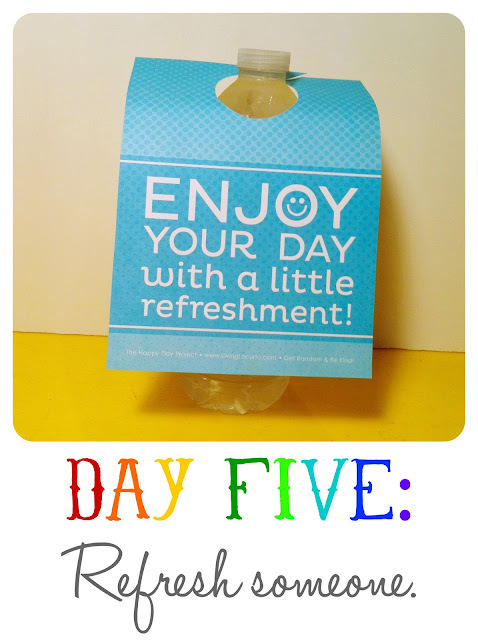 The Happy Day Project: Day Five. Today is all about refreshment. Amy from Living Locurto made a super cute set of water bottle tags. Seriously, super cute. Download your own printable tags here and here. Take a bucket of waters to a local park, on a walking loop, hey, even in front of Target. Shopping makes one thirsty right? Who wouldn't want to be greeted with a cold water? A cranberry-strawberry-lime slushie from Sonic? An iced coffee from Starbucks? But wait, the goal isn't to get my favorite drinks... but I could roll through Sonic during happy hour, and do a little ding dong slushie-ness to my friend's porches. Or pay for the car behind me in the Starbucks drive-thru and leave a tag for the barista to slip on the unsuspecting caffeine addict behind me. Who needs a little refreshment in your life today? If you know me, I can't talk about water, without talking about WATER. Clean water specifically. It is the desire and passion of my heart that every single person on this beautiful planet has access to clean, safe, water. I will keep fundraising, keep advocating, keep talking about it until the day comes when I don't have to. Oh, how I look forward to that day. My friend jenny, whom I adore, has the biggest heart for the needs of this world. She was able to travel to Kenya this summer and drink from one of the wells funded by our church. For her birthday this year she chose to help Charity:Water fundraiser for their September campaign. All of the September campaigns are going towards funding another drilling rig. Dare you to watch this video explaining it. 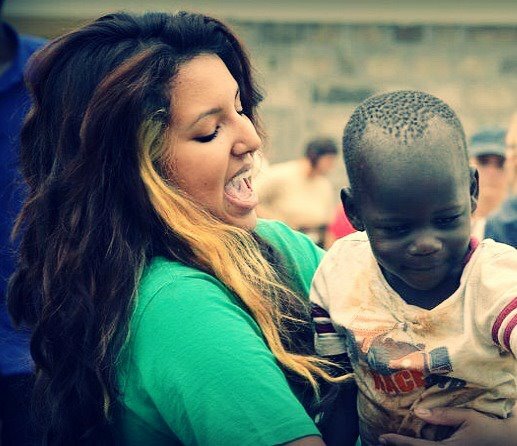 I'd love for you to visit Jenny's campaign and think of how many people lives you could change with even a small donation. About how you could help refresh thirsty people all the way in Ethiopia. I love water. I love Jenny. I love your heart to help. I love charity water! There was a young 9 year old girl this summer from our city who was tragically killed in a car accident? Before she was in the accident, for her birthday she didnt want presents, she wanted to buy water. Her goal was $300 to charity water. After her passing, word got out and her campaign raised over a MILLION dollars for Charity Water. Amazing cause!